The prospect of re-electing the member representing Lagos East Senatorial District, Mr Gbenga Ashafa, in 2019 is seen as having more resonance. They also commended the All Progressives Congress (APC) National Leader, Mr Bola Tinubu, for his strong support on Mr Ashafa. Chairman, Lagos East Political Forum, Mr Ayo Adeyinka, in a statement released in Ikorodu after the meeting said the leaders decided that Mr Ashafa should represent the senatorial district in 2019 because of his sterling performance. The leaders termed the 2019 senatorial election as very critical and one that will have far reaching impact, citing Mr Ashafa’s grassroots acceptance, leadership qualities and contributions to the progress of the senatorial district. 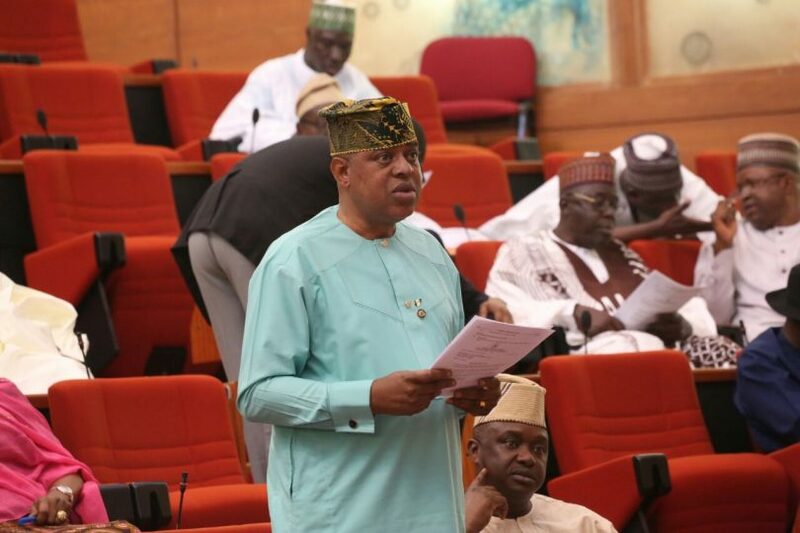 Specifically, they praised Mr Ashafa for enhancing the welfare of members of his constituency, building classrooms, ICT centres and hall in the senatorial district, providing transformers and streetlights, constructing boreholes for the people, donating entrepreneurial tools, awarding scholarships, distributing educational kits and back to school materials to students. The leaders applauded Mr Ashafa for bringing succour to the constituents through the award of the Ikorodu Shagamu Federal Road Project, free medical outreach programmes, social security schemes for elderly, financial empowerment for widows and widowers, agricultural entrepreneurship training programmes and facilitating loans from Bank of Industry to finance businesses. To ensure that Nigerians are not left drowning in debt; Mr Ashafa co-sponsored the motion on the urgent need for the federal government to redeem local contractors’ debts.